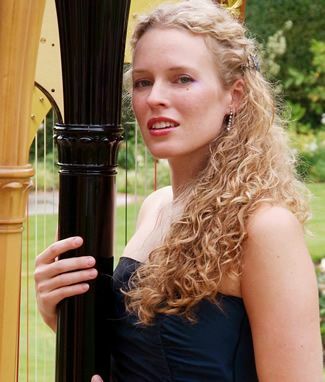 Acoustic Harpist Harriet was an Instrumental Exhibitioner at Balliol College, Oxford where she read music. Before this she was a student of Daphne Boden at the Royal College of Music Junior Department where she was successful in many competitions. She continued her studies with Imogen Barford at Trinity College of Music, supported by awards from the Musician’s Benevolent Fund, the Countess of Munster Musical Trust and the Martin Musical Scholarship Fund. As a soloist she has given many recitals at major London venues including St Martin’s-in-the-Fields, and she played at St James’s Palace for a celebration of the Queen Mother’s 100th birthday. In the past year she has appeared at the Swaledale Festival, toured the Mediterranean aboard the QE2, performed the Debussy Dances with the Dart Festival Orchestra, and the Mozart Flute and Harp Concerto with the Ten Tors Orchestra. As part of her award from the Martin Musical Fund, in 2004 she toured with the Unicorn Theatre Project / Philharmonic Orchestra for their production of the opera Clockwork, culminating in performances at the Linbury Studio Theatre, Covent Garden. 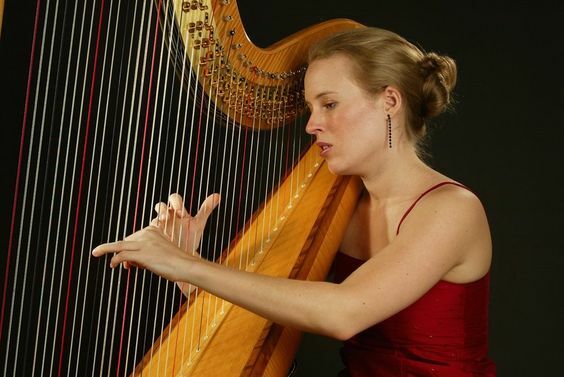 She also travelled to Lebanon with the Young Janacek Orchestra as Principal Harp. Most recently she was awarded 2nd Prize at the hotly contested 2005 London Harp Competition and also performed with the Philharmonic Orchestra in Seville. Harriet enjoys composing and has written several solo and chamber works. 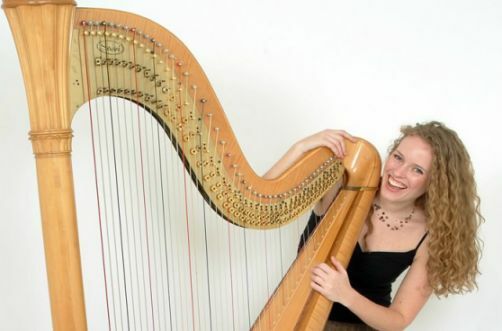 She has had music performed by the Girl Choristers of Exeter Cathedral, at The Two Moors festival, and her critically acclaimed composition, ‘Sun, Moon and Stars’ for harp quartet, was selected for performance at the 9th World Harp Congress this year. A keen chamber musician, she is a member of the Swan Duo with cellist Jessica Burroughs and plays in an oboe and harp duo with her sister Caroline Adie. Both duos have done concerts as part of the Countess of Munster Recital Scheme. She is also a member of the award-winning Four Girls/Four Harps, whose music has been broadcast on Classic FM and BBC Radio 2s Friday Night is Music Night series. They have played at many prestigious venues such as St James’s Piccadilly, St George’s Bristol and were invited to perform at the 9th World Harp Congress in Dublin last year. It just made the moment when we arrived and walked outside and heard you playing. Your harp music created a wonderful ambience for the evening. How can I thank you enough for the wonderful playing both at the church and the reception…the guests were overwhelmed and thoroughly enjoyed your performance. I would like to thank you very much for the lovely lunchtime recital last Friday. We all enjoyed it and everyone appreciated the valuable information you gave us about the harp…I have had some most positive feedback from the audience, and they hope you will be able to come back again. Harriet Adie’s range of technique and tone were notable. Sun, Moon and Stars `A Middle Eastern Sky by Harriet Adie was very enchanting. Depicting a childhood in the far-east, beautiful textures combined with eastern scale and harmonies, it was quite spellbinding. The music was a perfect backdrop for the setting, and we received very positive feedback from our guests with regard to Harriet’s performance. Not only did she play very well, but was timely, professional, and looked very elegant. I would be very happy to recommend her. The brilliance and artistry of your playing was astounding and much enjoyed by all present. Once again, thank you very much for your playing last night. It really lifted the choirs performance and contributed enormously to the success of the evening. I hope we may have the opportunity of working together again.